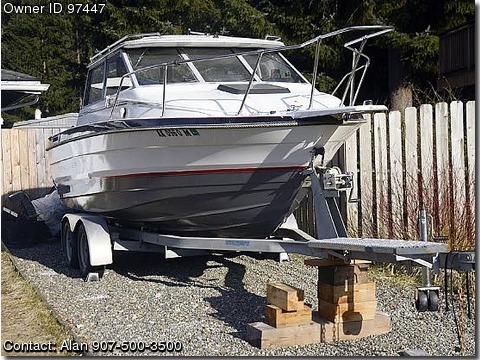 Please contact boat owner Alan at 907-500-3500. Motors serviced every fall prior to storage. Includes 2 fathometers, anchor, two downriggers, bumpers. Trailer has new LED lights, tongue jack, and winch in 2013.